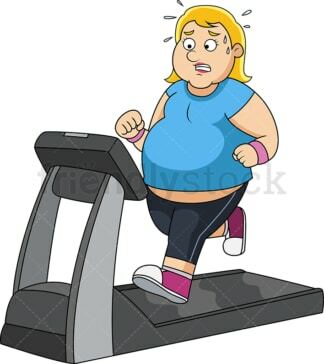 Royalty-free stock illustration of a chubby woman sweating as she works out on a treadmill, trying to burn belly fat and lose some weight. 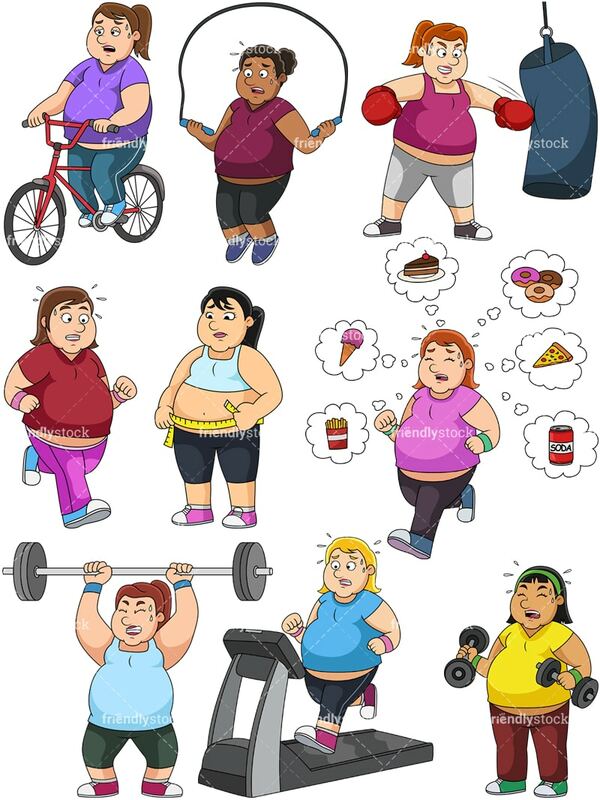 Royalty-free stock illustration of a fat woman riding a bicycle to lose some weight. 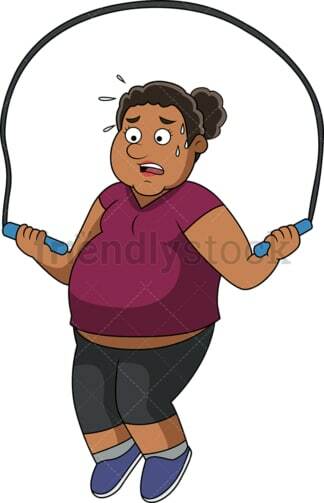 Royalty-free stock illustration of an overweight African-American woman sweating while using a skipping rope for fat burning and weight loss. 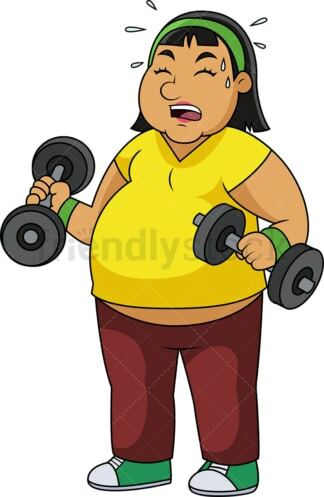 Royalty-free stock illustration of an overweight woman sweating as she tries to exercise with dumbbells. Royalty-free stock illustration of a chubby woman wearing gloves and sweating as she punches a heavy bag for stress relief and weight loss. 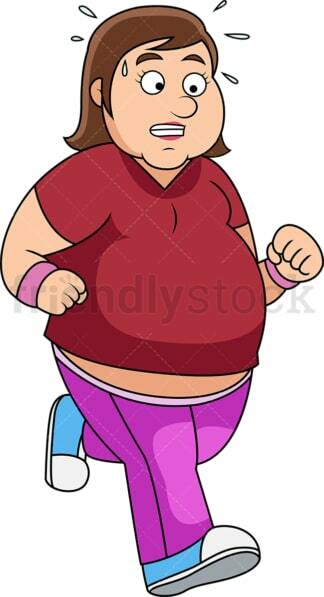 Royalty-free stock illustration of a chubby woman sweating as she jogs for exercise, trying to burn some belly fat and lose weight. Royalty-free stock illustration of a woman running and thinking about junk food, sweets, and soda, trying to resist the temptation and focus on her workout. Royalty-free stock illustration of a fat woman looking sad as she checks out her belly fat with a measuring tape. Royalty-free stock illustration of an overweight woman sweating as she lifts a barbell for exercise.